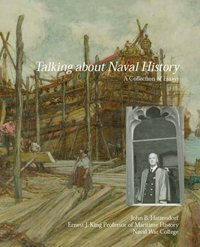 Talking about Naval History is a collection of twenty essays and articles written by John Hattendorf, the Ernest King Professor of Maritime History at the Naval War College. Written between 2001 and 2009, these pieces complement the previous published collection of Hattendorf’s work, Naval History and Maritime Strategy (2000). The essays are divided into four broad categories: maritime history, age of sail, history of the U.S. Navy, and naval theory. In the first essay, Hattendorf argues that navies have not seen great value in studying history as a broad characterization. Naval history should be placed in the larger context of maritime history to meet the needs of various groups interested in maritime history such as Congress and uniformed officers. History does not provide axioms, but rather helps identify the questions to be asked of a given problem. The second essay summarizes the experience of the Continental Navy, a period characterized by little Congressional support, the lack of a well-equipped shore establishment, and a fleet capable of only partisan warfare at sea. The establishment of a small frigate force under Adams to protect trade represented an evolution in slowly growing American naval capabilities. Hattendorf concludes that simplistic descriptions of individuals or places as the “father” or “birthplace” of the Navy conceal a more complicated story that provides insight into national character and the interrelationship between naval, political, and governmental affairs. The following article surveys how maritime historians in the 1990s became less parochial and began to see the value in presented a unified field – combining economic historians of ocean commerce with naval history and history of yachts. This theoretical background informs the process through which the Oxford Encyclopedia of Maritime History was written as an expression of this unity in maritime history. The final essay in the first section provides a succinct description of naval history (that Hattendorf has used elsewhere): “Naval history specifically involves the study and analysis of the ways in which governments have organized and employed force at sea to achieve national ends” (41). The next essay begins a section on general naval history with an examination of the three Anglo-Dutch Naval Wars from1652 to 1676. The author concludes that this period witnesses “a transformation in the character of European navies” (47). The English navy’s growth took place within the specific context of the Commonwealth vs. Royalist struggle while early English advantages at sea were countered by Dutch innovation in tactics and ship design. Anglo-Dutch naval cooperation is the subject of the sixth essay, specifically the 1689 treaty between the two nations. The document covered everything from discipline to command and control in joint fleets and illustrates the long history of cooperative naval efforts in naval history. This cooperation was necessary to compete with French naval power, though issues of national pride caused friction in this largely successful naval alliance. The third essay in this section examines how different naval historians have interpreted the Anglo-French wars from 1689 to 1815, particularly historians writing for a uniformed audience such as Philip Colomb, Stephen Luce, Alfred Mahan, and Alfred Stenzel at the German Marine-Akademie. Subsequently, Hattendorf examines the influence of Nelson, both as a naval officer in his own time and his role as it has been remembered in the U.S. Navy, as a source of successful naval principles and an inspirational naval leader. Nelson also had considerable influence on fleets around the world including the navies of Japan, China, the Soviet Union, and Latin America. Having focused on Nelson, the author turns to Nelson’s most well-known victory, the Battle of Trafalgar in October 1805. While naval officers serving in the generations immediately following Nelson sought to copy the British admiral’s tactics, later officers questioned whether sail-age naval tactics were still relevant. These two essays are followed by an extensive survey of the literature on Nelson and Trafalgar. Finally, Hattendorf surveys naval novels, particularly those of C.S. Forester and Patrick O’Brien. He notes that most naval novels contain a high degree of attention of detail and focus on small warships in the Mediterranean and Caribbean. The section on the U.S. Navy begins with the role of the Continental Navy in the formation of the American state. 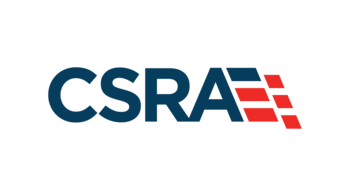 The Continental Navy provided the country with one of the first government supervisory bodies, the Navy Board in Congress, and illustrates the required linkages between finance, industry, and the Navy for warship construction. Congress adopted a centralizing approach by building a national naval organization instead of individual state navies. The second essay analyzes the French expedition to Newport during the Revolution as a joint (multi-service) and combined (multi-national) effort. This expedition demonstrates that long periods of time, over a year, are required to establish the principles of coordination and naval superiority before the decisive battle on land at Yorktown could take place. The following essay surveys blockade and amphibious operation theory in the context of a broader theory of sea power. This survey is then used to examine the limited options available to the U.S. Navy during the War of 1812 as the nations was simultaneously blockaded and assaulted from the sea. The Navy’s inability to interfere with British blockade or amphibious operations during the war directly led to the construction of an extensive set of coastal fortifications. After the war, the U.S. Navy established a pattern of forward-deployed warships in distant waters to defend U.S. commerce, though the manner of doing this shifted from a defensive stance to an offensive one by the end of the 19th century. The fifth essay identifies several sources for the gradual professionalization of the U.S. Navy in the latter half of the 19th century: the establishment of the Naval Academy, the Naval Institute, the War College, the General Board, greater levels of engineering education, and publication of the Official Records from the Civil War. 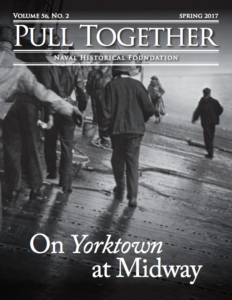 The final two essays survey U.S. Navy bases in Europe from the 19th to the 20th century and examine the growing number of roles navies have performed throughout the 20th century. The final section begins with an examination of logistics theoretician Henry Eccles analysis of the Suez Canal Crisis in 1956. Hattendorf argues that Eccles sought to use the crisis to develop lessons of history in keeping with his engineering background. The final essay suggests globalization as a grand strategic objective for navies and then examines ways in which navies can contribute to this goal through military, diplomatic, and police means. The book ends with a bibliography of works published by Hattendorf. This collection of essays illustrates the range and depth of Hattendorf’s work in naval history. Several themes run through the work. Hattendorf clearly holds that naval history is best understood when considered in the broader context of maritime history. The author also works to highlight the utility of historical study to contemporary naval officers while resisting efforts to draw definitive “all times-all places” conclusions about war at sea. Corbin Williamson is at the Ohio State University.